Gwenyth Paltrow’s beautiful weekly lifestyle magazine, goop, just published a dim sum article that features me as your hostess into this delicious world. 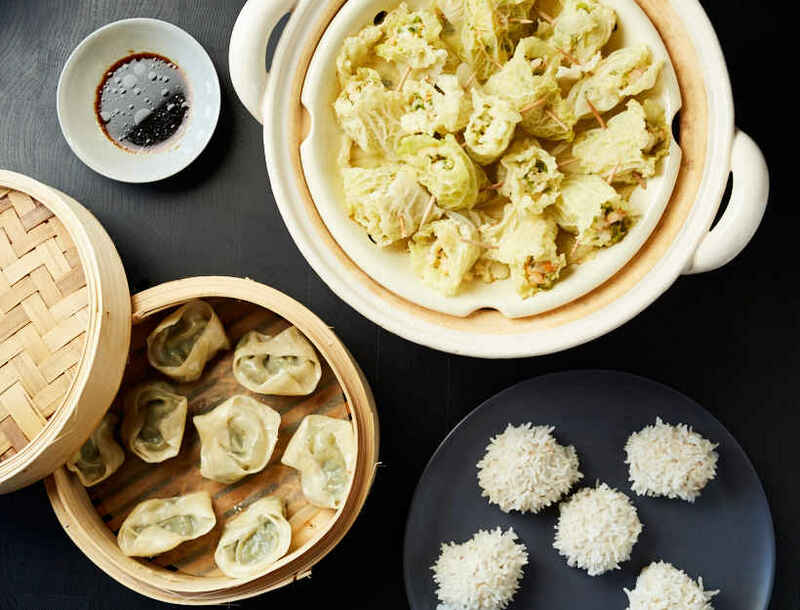 The fine folks at goop also offer some lo-cal recipes for homemade dim sum, and they definitely look good enough to eat. 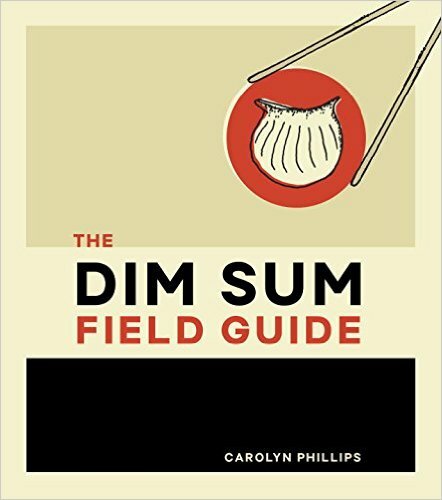 You will find guides in this article to eating dim sum like a pro, as well as suggestions on some super places to dine, everywhere from here in the Bay Area and all the way to Paris. Check it out. The latest issue of the culinary world’s oldest and certainly finest academic journals, Gastronomica, includes my study on modern dim sum history, a personal pet project I’ve been working on for, oh, a couple of years. 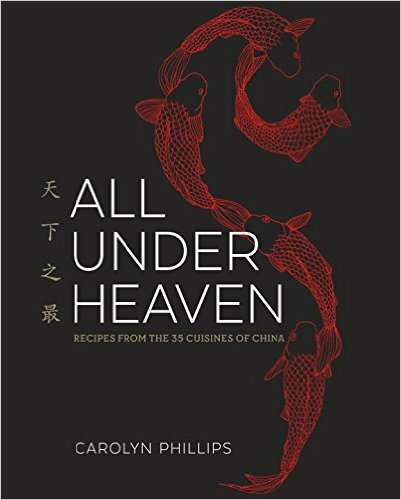 Modern History as Reflected in a Teahouse Mirror is about the special ways in which contemporary life was echoed in Guangdong’s dim sum parlors between 1880 and 1949. It’s strange when you think about it too much, but the massive changes in Chinese society nevertheless became ensconced in these dainty morsels, making a dim sum brunch an excellent opportunity not only to dine exceedingly well, but also to understand Guangzhou’s fascinating modern history during those seventy tumultuous years. 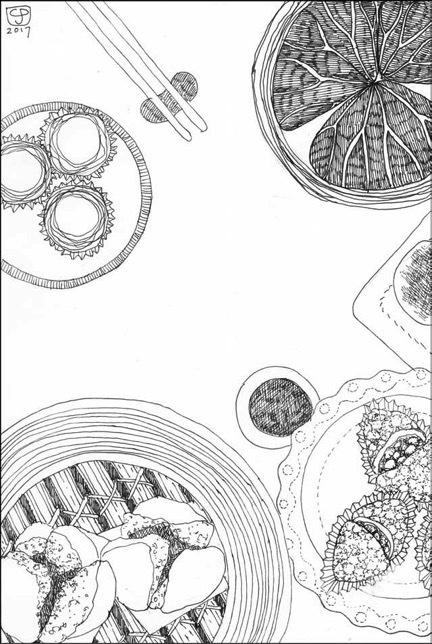 Plus, you get new dim sum drawings! 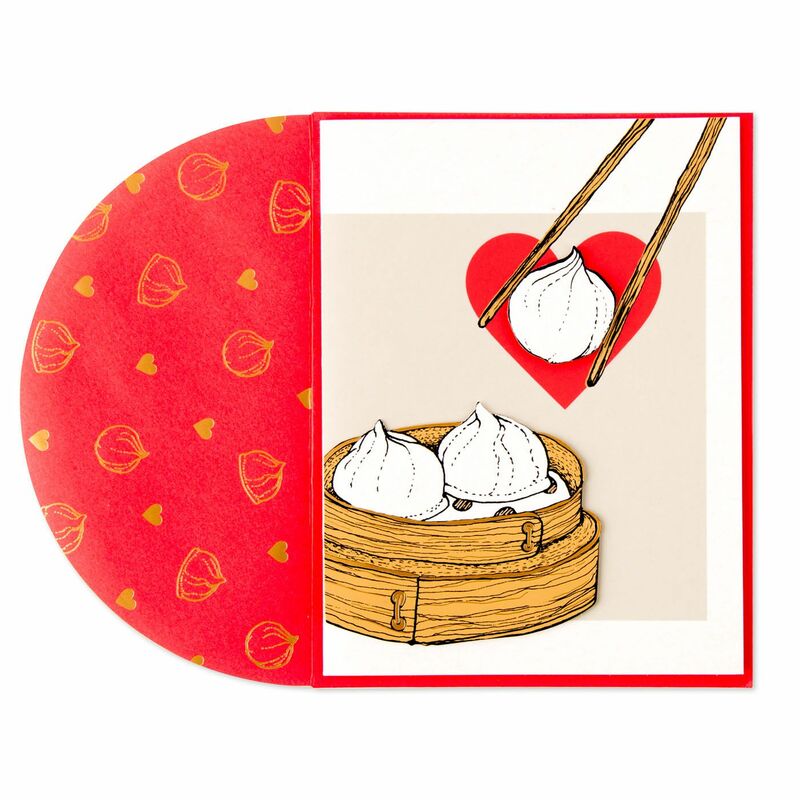 And if all that wasn’t enough, how about actually sitting down and having dim sum with me and a bunch of other food lovers while I natter on about how much I love teahouse snacks? Join me with some of the more illustrious members of the San Francisco branch of Les Dames d’Escoffier for a dim sum luncheon on Saturday, May 6, 2017, from 12:30 to 3:30 at Peony Seafood Restaurant in Oakland Chinatown. 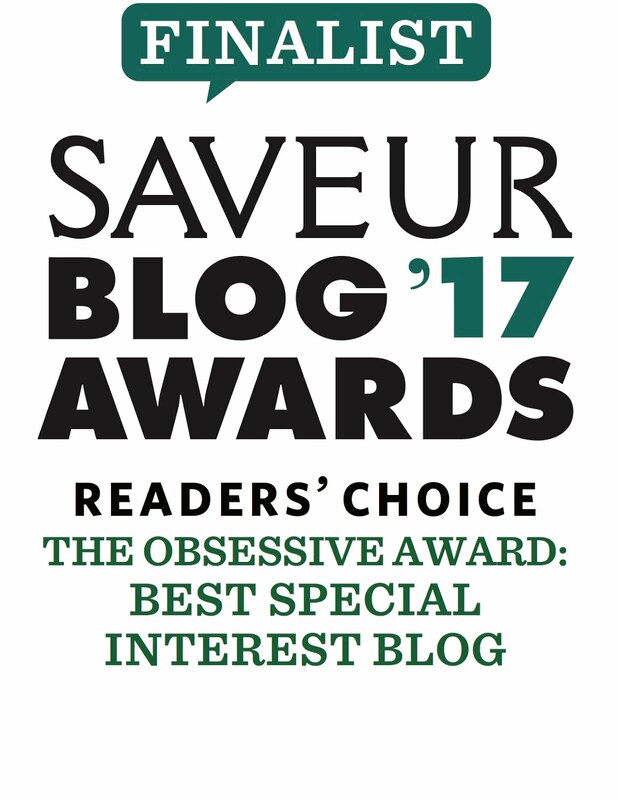 This is a celebration and fundraiser for the LDEI Karola Saekel Craib Excellence in Food Journalism awards. 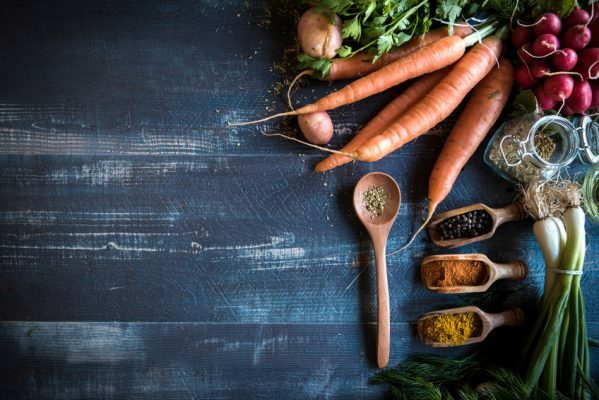 I will be in conversation with the lovely and talented Sarah Fritsche of the San Francisco Chronicle, and I’ll also lead you through a delightful luncheon featuring fine teas and a wide range of savory and sweet dim sum treats. You want a tea master? We have a tea master. You want live zither music? We’ve got you covered. You want to meet some of the fine people who are present and past awardees of this honor? Look no further. I’ll even give you a free, very hip, and totally temporary dim sum tattoo. I mean, this will be Christmas in May. The party is open to everyone, not just Les Dames members, so check out this link for tickets and more information. 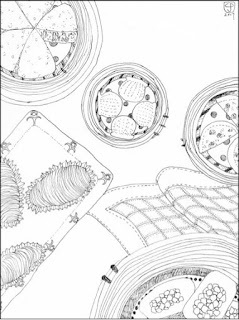 Illustrations copyright (c) Carolyn Phillips, 2017. Do not reproduce without prior written permission.